Young George was a power-punching beast who obliterated opponents inside the ring with nuclear-fueled swings and melted people beyond it with icy stares and intimidating remarks. Old George, on the other hand, was the complete opposite – funny, gentle, merciful but still proud and powerful. Old George’s greatest weapon was the telephone-pole jab he learned from Young George’s role model Sonny Liston and his self-belief was so prodigious that he became history’s oldest heavyweight titlist when nearly everyone thought Foreman was foolish and delusional for even trying. Foreman’s masterful marketing combined with his miraculous second ring career vaulted him to the Hall of Fame as well as untold millions of dollars – and fans. 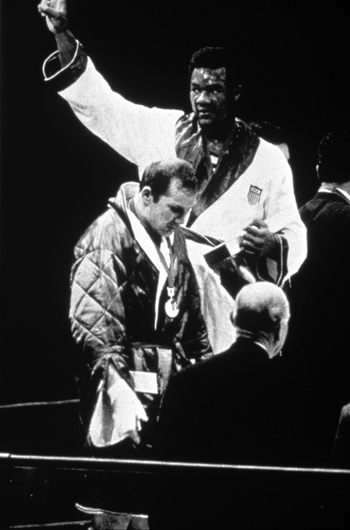 Olympic career – Just 19 months after his first amateur fight Foreman was competing in the 1968 Mexico City games. 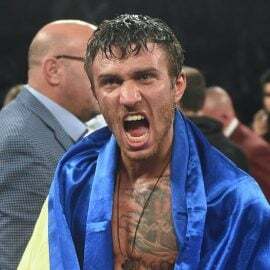 His inexperience was overwhelmed by his incredible power, which, after decisioning Lucjan Trela 4-1 in fight one, was too much for everyone else to handle. Romania’s Ion Alexe fell in three rounds while Italy’s Giorgio Bambini lasted two in the semifinal. 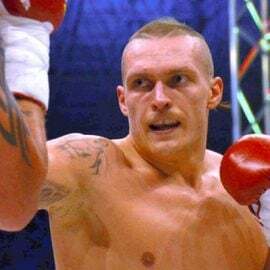 His opponent in the final, Lithuanian-born Ionas Chepulis, was even more devastating than Foreman. Competing for the Soviet Union, Chepulis scored three knockouts, pounding Great Britain’s Billy Wells and East Germany’s Bernd Anders in three rounds and destroying Mexico’s Joaquin Rocha in two. The 29-year-old Chepulis was no match for the 19-year-old Foreman. Foreman’s hammering jabs bloodied Chepulis’ nose within the fight’s first minute and by round’s end Chepulis was hurt and heaving. Big George cranked up the power in round two, and Chepulis could do nothing to hold back the avalanche. One barrage prompted a standing eight count and another round of hammers forced a stoppage. 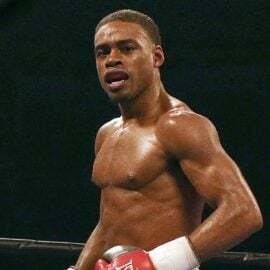 Professional career – Young George tore a swath through the division as he won his first 40 fights, 37 by knockout and 34 within the first four rounds. 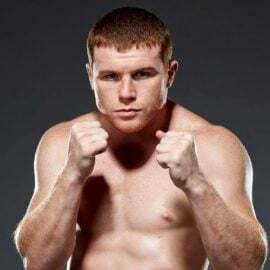 He knocked out Chuck Wepner in his fourth fight and added George Chuvalo, Gregorio Peralta and Boone Kirkman to his growing list of KO victims. 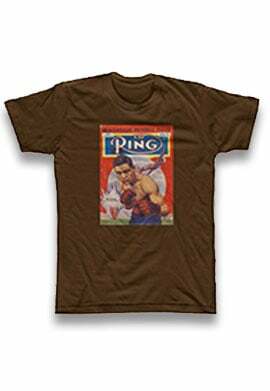 Included in that string were stunning two-round crushings of heavyweight champion Joe Frazier and number-one contender Ken Norton, and by the time he signed to fight Ali many pundits were fearing for the ex-champ’s life. But Ali, as was his wont, fooled everyone – including Foreman – by employing an on-the-fly strategy he later dubbed the “Rope-a-Dope.” Once the over-eager Foreman emptied his guns Ali swooped in and delivered the shocking eighth-round KO. Had his career ended with his upset decision loss to Jimmy Young in 1977 his elevation to the Hall of Fame would have been a massive question mark. But 10 years spent in the ministry produced profound changes in the man and in his priorities. Old George’s ring return was originally launched to provide funds for his community center but it turned out to be so much more. 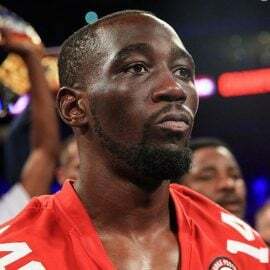 The 38-year-old treated himself like a prospect, taking fights often against what would be overmatched foes, all the while sharpening his kinder, gentler persona through an endless series of self-deprecating interviews and TV appearances. 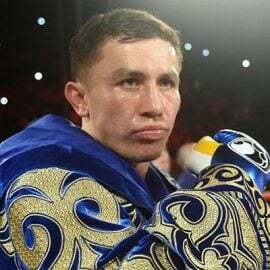 Four years and 24 fights later he challenged Evander Holyfield and produced a heroic but unsuccessful effort. Three-and-a-half years after that Foreman fulfilled his vision by scoring a one-punch KO over Michael Moorer for two pieces of the heavyweight title. With that one punch he validated his quest and in the process became a bonafide folk hero. His status as the oldest-ever heavyweight titlist, the possessor of a 76-5 (68) record and his inspirational second career transformed him into a lock Hall of Famer and one of the few boxers who could rival Ali in terms of charisma and worldwide appeal. The only reason he’s rated here is that he went a modest 5-3 (4) in major title fights. By every other measure, Foreman was a profound success.